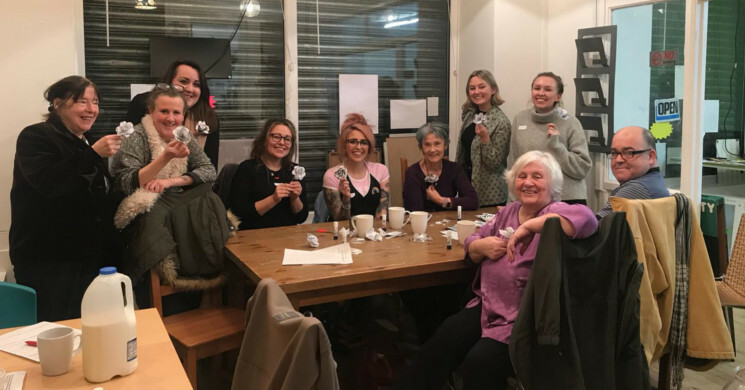 Liverpool Cares is a community network of younger (people in their twenties and thirties) and older (over 65 years old) neighbours hanging out and helping each other out, to improve the confidence, resilience and skills of everyone involved. They connect younger and older neighbours across social, generational and attitudinal lines – people that often organically don’t get the opportunity to meet – so that everyone feels part of, not left behind by, our rapidly changing city. Liverpool Cares will be running social clubs every month across the Liverpool City Region. Social clubs offer a chance for young professionals and older neighbours to hang out together and share time, friendship and fun. Each month there will be different events including technology workshops, dances, pub clubs, film clubs, Desert Island discs evenings and cultural trips. They would love to hear from you! Or if you know someone aged over 65 who would be interested in finding out about free social activities across the Liverpool city region, call Liverpool Cares so they can tell you more on 0151 659 1789. Share your memories at this Reminiscence Session. The museum will provide music, photographs and items to inspire your recollections of a particular aspect of life related to Liverpool and music. Come along and meet new friends, share memories and enjoy a chat over tea or coffee. This month’s theme is River City People. Chat with your neighbours over a free drink at our Pub Club! Share laughs and get to know one another in this former Handyman’s Supermarket! A relaxed, cosy setting. Enjoy a mulled wine and a movie with your younger neighbours this December! Come along to watch the Christmas favourite ‘Love Actually’! Join your younger neighbours for a pub quiz at the Irish Centre. Enjoy a drink and some trivia, no need to be a brain-box, just join in the fun! We’ll be throwing in a special winter round this time, too. Call Abbie on 0151 659 1789 to find out more, or to book your place.